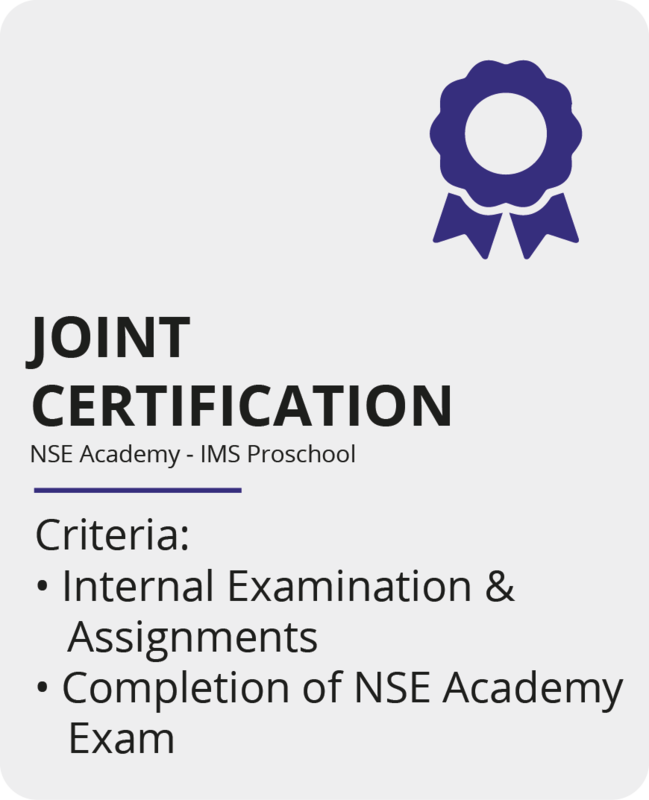 IMS Proschool, a CFA Institute Approved Prep Provider, & NSE Academy ( a subsidiary of NSE India) offers 10 months – Post Graduate Program in Investment Banking & Equity Capital Markets. Project Based learning: Financial modeling, capstone protect, hands on project makes you job ready. A niche qualification for candidates who want to enter the investment finance industry, with a clear focus on technical skills and theory required for a investment finance professional. Equity analysis involves analyzing an organization’s financial statements and projections with reference to its competitor(s) and the industry in which it functions to determine whether it is a good investment or not. This program will enable you to acquire theoretical understanding of equity valuation with The CFA® Program curriculum and practical understanding with Financial Modeling. The skills of financial modeling and The CFA® Program will help you contribute to equity research firms. Investment banking helps companies to raise money from investors. This program will help you to perform valuation of companies & prepare reports on them. In addition you will also work with important components of Investment Banking such as Mergers & Acquisitions, Project Finance, IPO Analysis etc. The learning from this program will help you to get opportunities to work with Investment Banking companies. Credit Analysis involves collection of historical information such as outstanding debts and forecasting future growth on spreadsheets to determine the nature and degree of risk that the organization faces. This helps the analyst in providing a rating to a firm. This program comprises in depth understanding of Financial Statement Analysis, Risk Modeling etc. which helps you perform credit analysis of a firm. Project Finance helps in assessing the financial viability of a project and creating a funding plan through its debt and equity components. In this program, you will learn how to prepare a project finance model and a report. Familiarity with Project Finance makes you eligible to apply to the banks and financial organizations. Private Equity Funds or Venture Funds help raising funds from large investors and these investments are then put directly into businesses. An outcome of this program is an advanced understanding of various models that can be used to value these sectors. After the completion of this program you can work with Private Equity Funds or Venture Funds. Financial KPOs are creating numerous jobs in the areas of finance such as Financial Analysis, Credit Analysis, Derivatives Analysis and Reconciliation Process, etc. This program will enable you to work in all the profiles mentioned above. Hence, you can work with companies. Capital markets are one of the most rewarding arenas for finance professionals. Equities, Derivatives and Fixed Income securities are complex financial assets which require professionals to understand the nuances of the markets. This program will enable you to work as Analysts, Portfolio Managers and Relationship Managers in leading stock broking, equity research and asset management companies. The investment finance industry was the only industry for years which followed the traditional method of research and decision making. All that is about to change as technology changes the field. o Corporate Finance: Learn the framework of Corporate Governance in Investment Decision Tools like capital budgeting and calculation of cost of capital. o Economics: Learn different kind of markets like monopoly, monopolistic. Understanding of pricing and output, GDP Business cycles, Unemployment. Also Learn monetary and fiscal policy and tools used. Economics in global context and Introduction to Currency exchange rate. o Quantitative Techniques: Learn basic concepts like how to interpret interest rate, calculate future value of investment, present value of future cash flow etc. 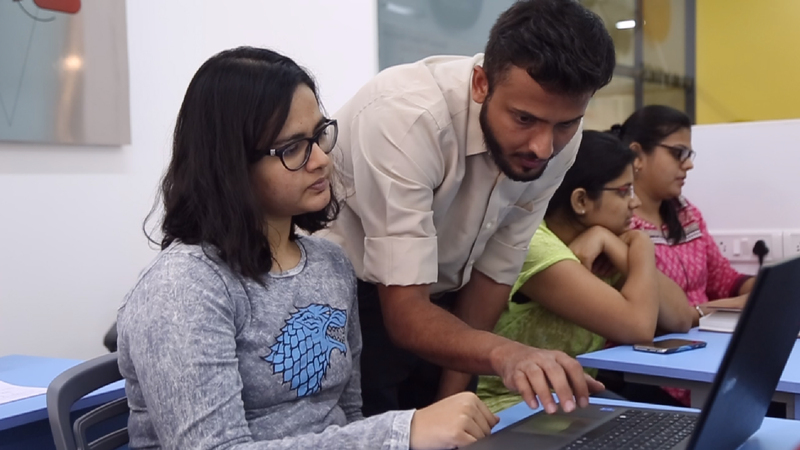 Introduction to NPV & IRR.As well as learn concepts like Normal distribution, Skewness and Kurtosis, central limit theorem, Hypothesis testing and technical analysis. o Equity Valuation: Learn various asset types, construction of index, theories of market efficiency, and structural overview of equity markets, equity analysis using various techniques & methods of valuation. o Fixed income: Introduction to fixed income markets, participant in the markets, calculation of bond price and yields and coverage on interest rate risk. Introduction to risk measurement of bonds like duration, convexity and lastly introduction to credit analysis. o Derivatives: Introduction to basic derivatives market and essential valuation concepts for forward commitments. o Alternate Investments: Introduction to alternative investment classes like Hedge Funds, Private Equity etc. o Portfolio Management: Learn the portfolio approach for the basket of various asset classes and their management. o Franchise Business Modeling : Using a Franchise Business model for decision making & presentation. o Project Finance Modeling : Decision making process using Financial Modeling for financed projects. o VBA and Macros : Tools used to automate certain repetitive tasks by VBA programming language. Full-time Program: The candidates should be a graduate with minimum 60% or above. I don’t want to do The CFA® Program, then why should I pursue this program? Even if you do not want to pursue The CFA® Program, PGP IB&CM is relevant to you because this program will give you intensive training for core finance jobs. 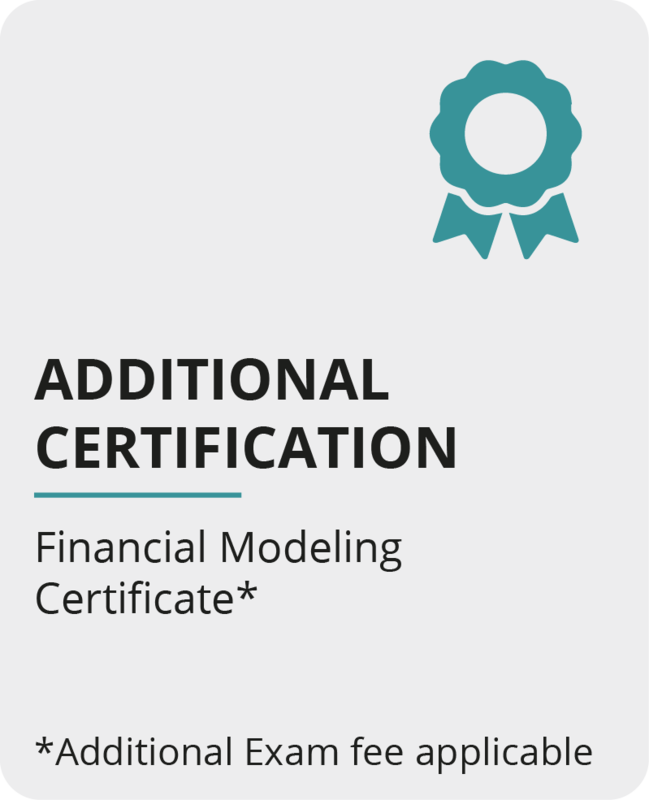 Apart from The CFA® Program curriculum, it includes crucial topics like the Financial Modeling, Investment Banking – M&A, Project Finance, Credit Analysis, VBA, Macros etc. Moreover, it also includes a real-time Project and role-plays training which will make you job ready from day 1. How will this program help me in clearing The CFA® Program? The CFA® Program focuses on investment valuation and investment analysis. Many people who do not have any experience in this field or are not associated with the investment industry cannot relate to The CFA® Program curriculum. However, PGP IB & CM has main focus on the practical application of the entire CFA® Program curriculum, therefore it helps the candidate in a holistic way. This is because our program is designed in such a way that it covers almost all the concepts in The CFA® Program through Financial Modeling and makes the candidate more confident to clear level I of CFA® Program. How is this program job oriented? Recruiters give preference to candidates who have either PG Qualification or Professional Qualification with some hands-on experience. This program not only trains you for the Level I of The CFA® Program exam and gives you financial modeling certification but also gives you a reasonable amount of hands-on experience of working with a research firm under the guidance of a The CFA® charterholder or an experienced analyst. Moreover, at the end of the program, you will get the Post Graduate Program in Investment Banking & Capital Markets which will give you an edge over MBA in finance and will help you to get your CV shortlisted where the requirement for Job is PG /MBA. Is the PGPIBCM program approved by AICTE? For careers in Investment Banking, Equity Research, Portfolio Management, Corporate Finance etc.